ESEE knives arrowhead, useful for survival situations were the arowhead can be used to obtain food. 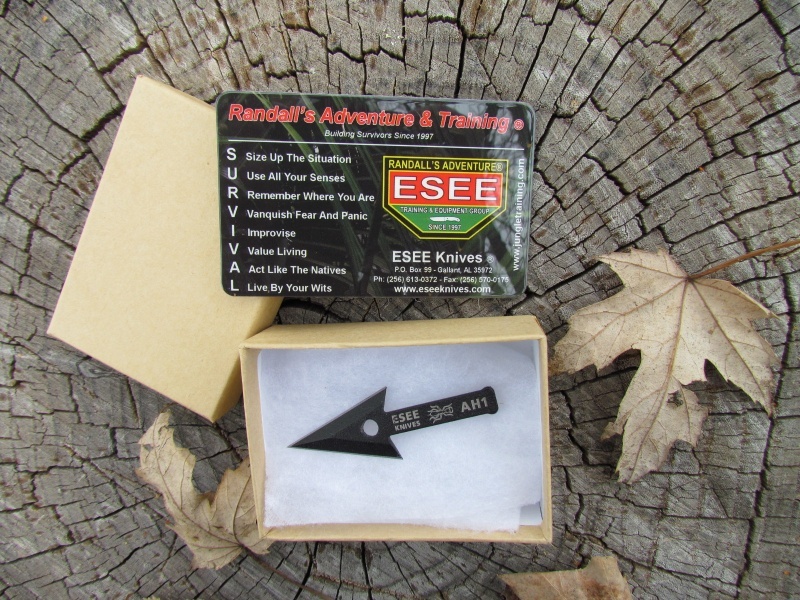 Arrowheads are difficult to produce from natural materials and this gives you a quality precision arrowhead ready for use. 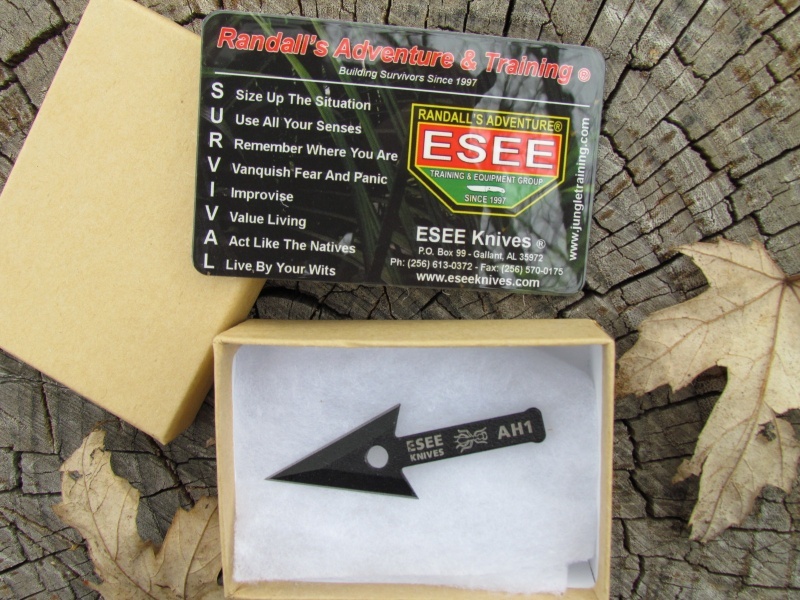 Purchase through PayPal by using the "Add To Cart" button above or use the form below to order the ESEE AH1 Arrowhead . 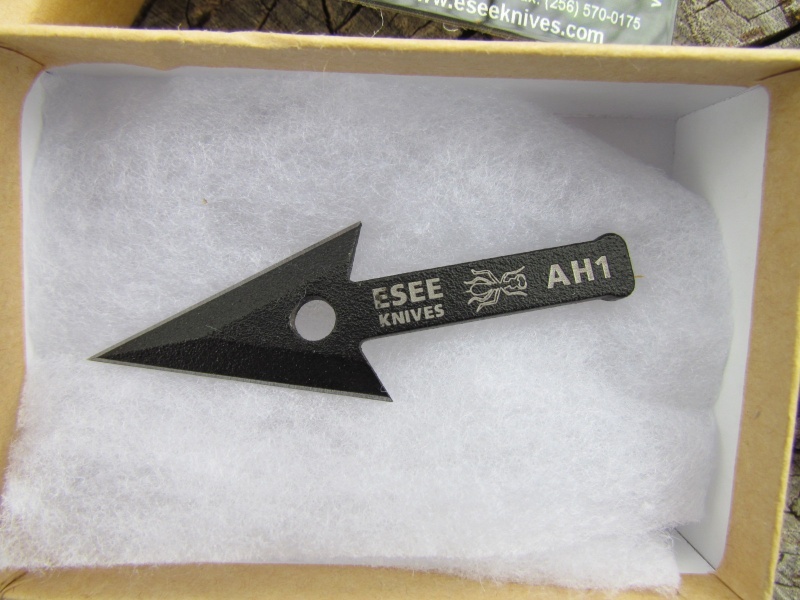 Feel free to contact us if you have any questions about the ESEE AH1 Arrowhead .